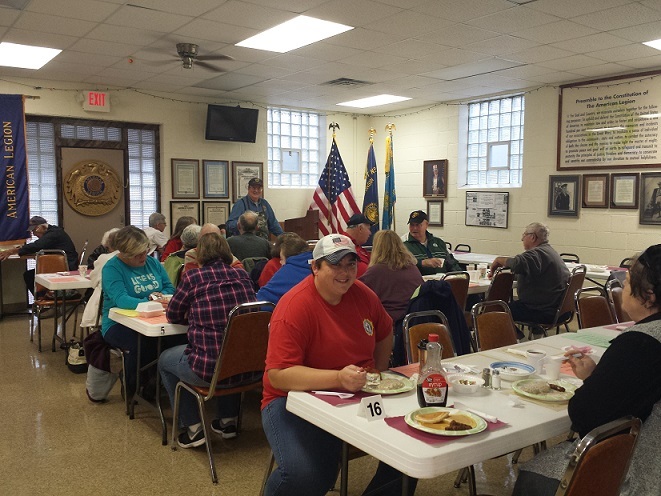 Full Breakfast: Join us, on Nov. 11th all Active Military and Veteran's will have free breakfast (veteran ID required), open to the public, American Legion membership not required. Bring your family and friends for a wide variety of breakfast choices -- pancakes, french toast, scrambled eggs, hash browns, sausage gravy on biscuits, bacon, sausage links, toast, coffee, milk, juice, and applesauce. NOTE - pancakes are all you can eat, just ask the server for more, but be sure you have a clean plate - no take home leftovers.